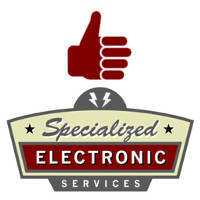 Our staff at Specialized Electronic Services will happily help you online, on the phone, in person, and on time with your industrial electronic needs! We are located in the northeast corner of Dallas, Texas and have been in operation since 1994. If you would like to meet with one of our representatives, please call us toll free at 1-800-681-7374 or email us using the form on this page. If you are seeking employment, please fill out the form below as well. Please use this form to expedite your comments/inquiry. For quotation of a purchase or repair, please fill out the form on this page. When paying by credit card, call Ines Infante at 1-800-681-7374.